Marbella Club is a holiday village and campsite in Palinuro, the destination of choice for your stay in the Cilento, one of the most beautiful and unspoilt areas of Campania. Surrounded by lush vegetation, the clear blue waters of a spectacular sea and gently-sloping hills, the holiday village is ideal for anyone hoping to relax and enjoy long walks. It’s just a stone’s throw from the renowned and magnificent Arco Naturale beach, easily reached on foot via a private, shaded and flat footpath inside the resort. 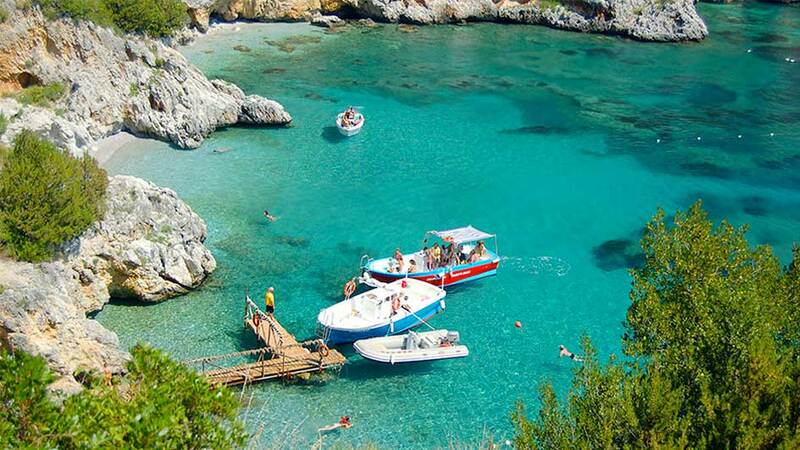 As well as being a UNESCO World Heritage Site, the beach is one of the jewels of Cilento National Park. It features a very unusual and naturally-formed arch-shaped rock formation, lying on a bed of sand and pebbles and reflected in the crystal-clear waters, that has once again been afforded a Blue Flag certification. Fall under the spell of the wonders of this welcoming land, where you can relax and have fun. You’ll experience an unforgettable holiday filled with marvellous places to photograph, great stories to listen to, memories to hold onto and emotions to share! If you’re looking for a holiday village or campsite in Palinuro, you’ll find a huge range of services and facilities at Marbella Club, including two pools, a restaurant and pizzeria, a bar, internet wi-fi connection, an on-site mini-market, a disco, a children’s games area, parking, mooring for boats and much more besides. A team of professional entertainers will win guests over with daily activities for the young and the young at heart. There’s also swimming lessons, dancing, water aerobics, step and aerobics lessons and lots of fun and games for our youngest guests too. So many surprises await you every day… otherwise, what sort of holiday would it be? Of the many activities to choose from, we recommend a trip to discover the neighbouring area, where you can choose from Pompeii, Paestum, Capri, Naples, Vesuvius and the Charterhouse of Padula - all wonderful places you won’t want to miss and ideal for those travelling alone, with friends or with family. And to ensure you have fun and relax, we organise spaghetti parties on the beach with night-time lamparate - charming torchlit fishing trips - a perfect way to enjoy your holiday in harmony with nature. Sports enthusiasts looking for an active holiday, will find Palinuro an excellent natural choice for numerous sports. Challenge yourselves with diving lessons, hire a boat, go canoeing or just enjoy the wonders of the Cilento region and experience something new and exciting every day!